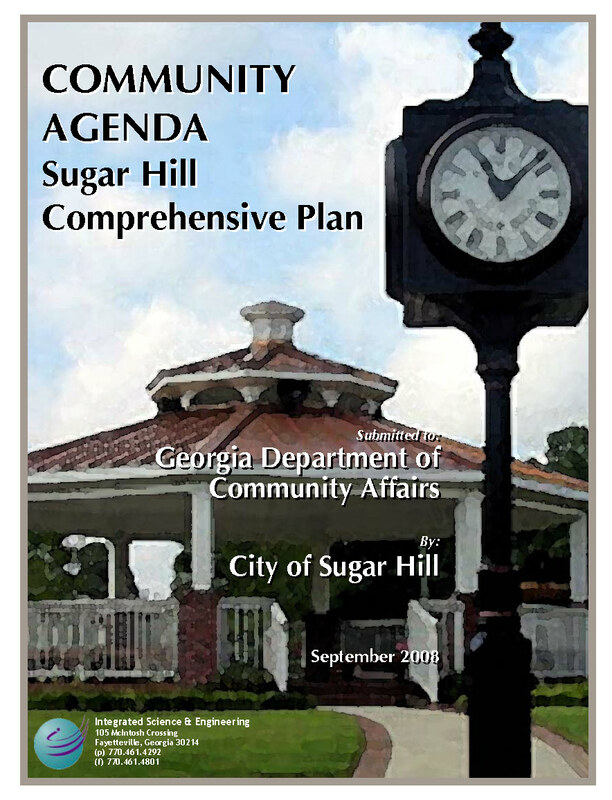 Local governments in Georgia are required to develop and maintain a long-range comprehensive plan in order to remain eligible for various state-administered funding, permitting, and incentive programs. A comprehensive plan is a policy guide that assesses current conditions, projects future trends, establishes goals, develops strategies, and sets up a short term work plan. State legislation mandates the plan must be updated every 10 years. Planners from the Atlanta Regional Commission (ARC) worked with city staff to prepare an update to our long-range plan with guidance from a steering committee made up of a strong group of community leaders with diverse backgrounds. Residents, local business owners, elected officials, and city staff served on the committee and worked together to give direction and feedback at key points in the process. The committee organized monthly public meetings, and additional opportunities for public participation at other community meetings were advertised through local media outlets and on the city’s social media sites. A project page on the city’s website was also created with a link to all the available materials and a form to submit feedback to the planning department by email. The last public meeting was conducted in October 2018 to gather community-wide feedback which was considered in preparation of the final draft. This meeting was open house format and citizens provided comments in writing and through one-on-one discussions with city and ARC staff. All comments were synthesized into a final draft plan which staff is requesting authorization to release for regional review and public comment upon conducting the required second public hearing. The regional review was completed in January 2019. Links to the final version of the plan can be found in the section below. Below you will find links to our current comprehensive plan documents. We’ll be posting a draft of the new plan soon. The comprehensive plan is a general guide for municipal processes, programming, policy and budgeting. It will typically cast a vision to which the community aspires for the next five to ten years. A good plan paints a clear picture of the future while documenting current conditions and anticipating obstacles. Plans are most effective when they identify specific tasks designed to achieve the community’s goals and objectives. Planning provides guidance for daily decision making in local government. Without sound planning we run the risk of making uninformed choices which could negatively impact the health, safety and economic well-being of our community. We have a responsibility to go after the aims and vision established by the community. Didn’t we just do one, why update it? Periodic updates to the comprehensive plan are required to maintain eligibility for various funding, permitting and incentive programs administered by the State of Georgia. More importantly, plans grow stale as community preferences, demographics and market conditions change over time. New issues and opportunities often come to light as the city works toward implementation. Fresh solutions or different angles of approach become necessary as new obstacles are encountered. Planning is an ongoing process in which we assemble the plan, begin executing the plan, evaluate progress and repeat. Sometimes assembling the plan is simply a recalibration or minor update and sometimes it’s an entirely new plan. Still have questions? We want to hear from you!